Click on the link to listen to this week's Environment Report! 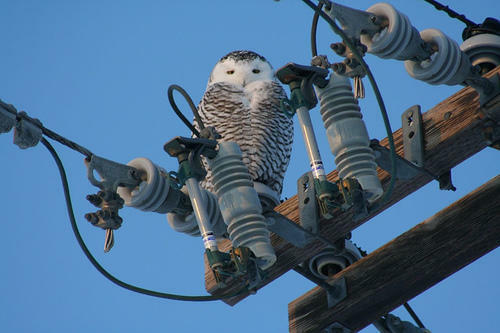 Every year, some snowy owls make their way south from their Arctic homeland in search of food, and some of us here in the Great Lakes region have been lucky enough to spot these magnificent birds on tree branches, or poles, or … near airports. Airports have wide open treeless spaces, and can look a lot like home to snowy owls. And for wildlife specialists who work at airports from the Great Lakes to the Northeast, this has been a busy winter. During Christmas week alone, Detroit Metro Airport’s Wildlife Hazard Management Program trapped and relocated eight snowy owls. “They will be moved to a distance greater than 50 miles away from the airport, so that hopefully it doesn't become a future problem,” says airport spokesman Brian Lassaline. Birds and airplanes don’t mix, and getting birds to move along so they don’t nest near aircraft is something airport officials invest a good deal of time and money into. “Wildlife strikes on airplanes is a significant hazard, both money and people’s lives, and so it’s something that must be dealt with,” says Kevin McGowan with the Cornell Laboratory of Ornithology, adding that many birds can be scared off using tactics like loud noises. "They're a creature from another world that occasionally we get the good fortune to see." One airport learned that lesson this fall, and paid a public relations price when it decided to deal with the birds another way. Wildlife officials at Kennedy Airport shot three of the owls, leading to a public outcry and a lawsuit. Officials with the Port Authority, which runs the airport, say they’ve halted the practice and are now trapping and relocating the birds. "This year a whole bunch of them came in to the Great Lakes region latitude, and they just kept coming, and there just hundreds and hundreds of these things." 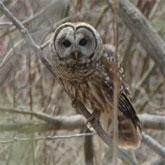 There’s something about owls that even non-birders love. Maybe it’s their large eyes, or the fact that they’re mostly night creatures (the snowy owl, being a creature of the Arctic, hunts during the day). 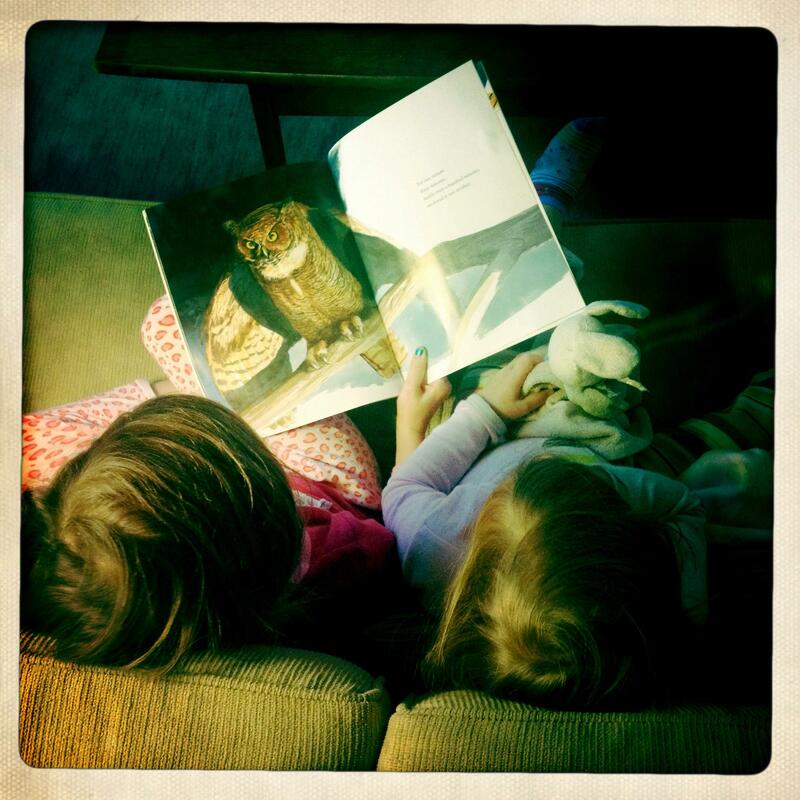 My daughters love books about owls, and one of our favorites is "Owl Moon" by Jane Yolen, about a girl whose dad takes her out “owling” one winter night. We were not lucky enough to spot any owls that night. But if you’re out near some wide open spaces this winter – near an airport, or a farm field – look up. Your chances are better this year than most to see a snowy owl hunting for some food. Go on an "owl prowl"
The Department of Natural Resources is putting on a series of guided night time walks in different state parks and recreation areas, with the goal of trying to spot owls. Events are scheduled in Livingston, Wayne, Oakland, Clinton, Lenawee, Jackson and Bay Counties. You can find more information here at the DNR's website. The events are free and the organizers suggest that you pre-register. 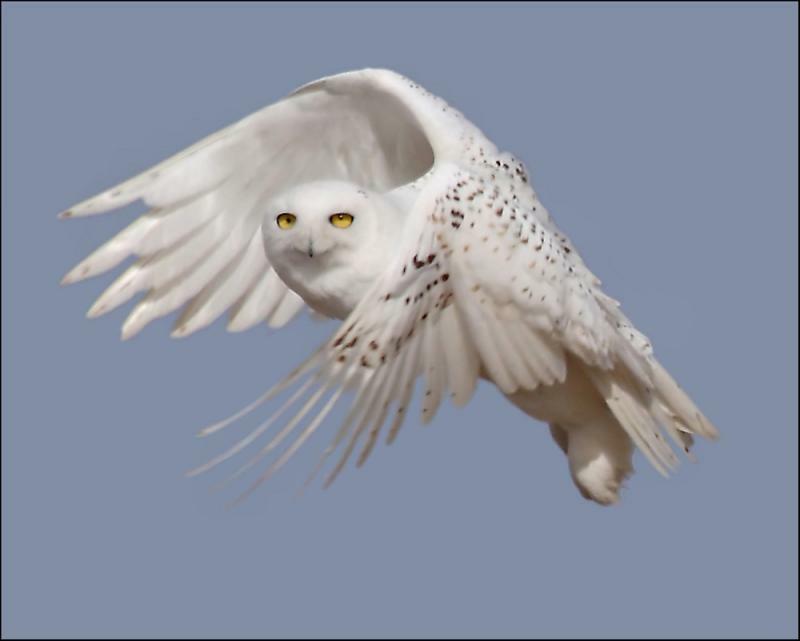 Snowy owls typically live in the northern reaches of the arctic tundra. Living year round in the arctic shows how tough these birds are. But this year they've been traveling south in search of food. The owls have been spotted in states such as Massachusetts, Kansas, Illinois, Michigan, and Minnesota, according to the U.S. Fish and Wildlife Service. To see where they've been spotted in Michigan, click on the slides above for a Google Map. So why are they flying down here? Biologists think the growth in Snowy owl sightings around the U.S. is due to a drop in the owl's main prey in the Arctic - lemmings. Lemmings go through boom and bust periods, and right now, lemming numbers are probably down, so the owls are scrounging around here for rodents, rabbits, fish, or any other suitable food source. Similar cycles occur with other birds of prey. The Great Gray owl, which normally keeps to northern Canada forests, has been known to fly south when its food is in short supply. Reporter David Sommerstein produced a story on Great Gray sightings in a piece he did for the Environment Report back in 2005. It was a year the owls were flying south and was one of the biggest Great Gray owl migrations on record. Take a listen to a "Rare Visit from a Northern Neighbor" - the audio file below. I love hearing ornithologist Gerry Smith's reaction when he spots the "first Great Gray owl that's made it across the border." "I'll be a son-of-a-gun. That is so... bler... I am now VERY enthusiastic! Hey! .... I'm going to get my scope..."
And while you're out, keep your eye's peeled for rare visit from another northern neighbor - the Snowy owl.